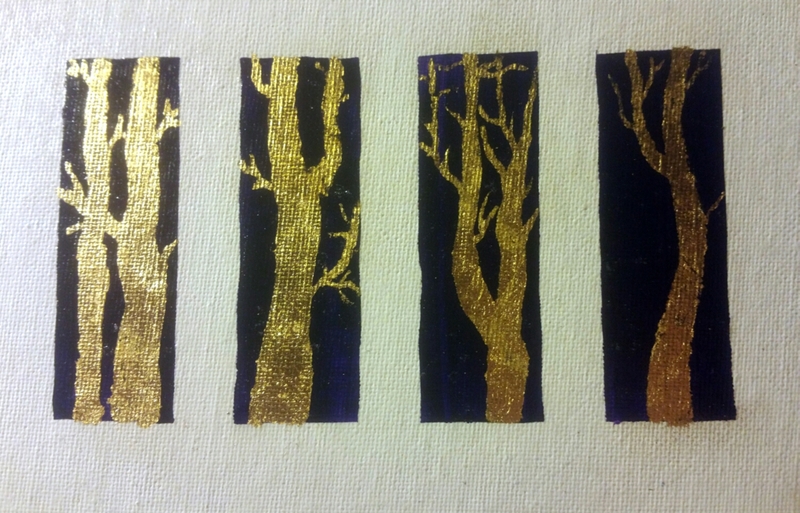 the 3″x4″ trees from a previous post: you can see them here. Now I am starting work on a few others. I will update you will their progress tomorrow. Below is two of them as they are currently. 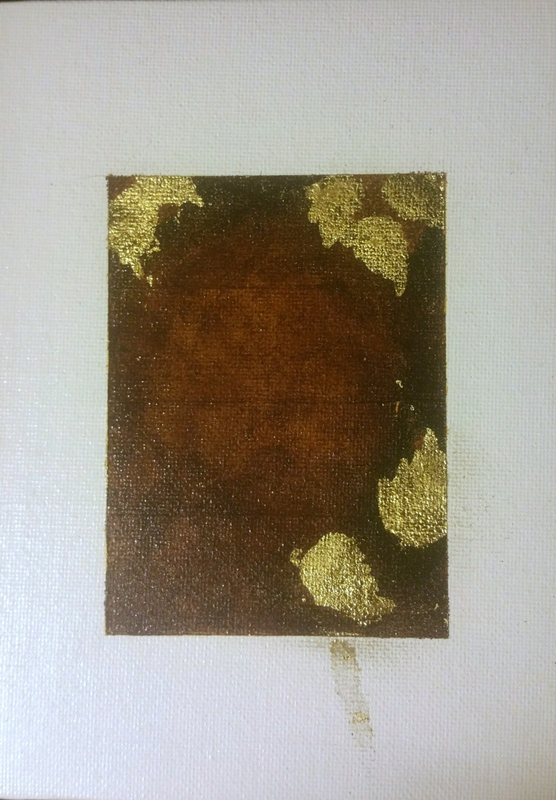 Composition gold leaf on acrylic paint.